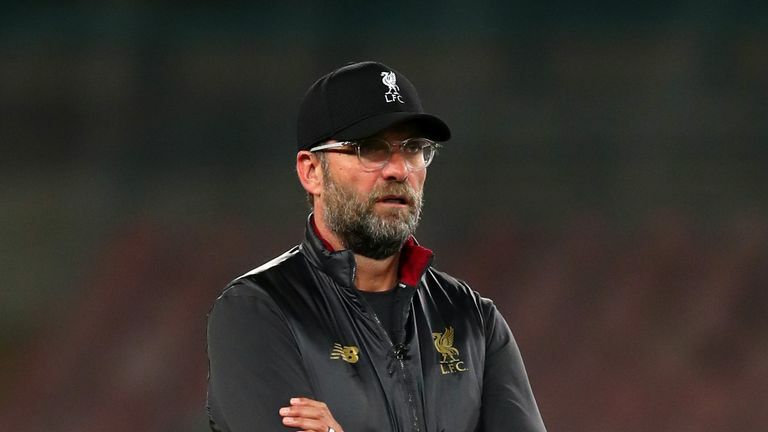 Jurgen Klopp says there is "a chance" Naby Keita could be fit to face Manchester City on Sunday, despite suffering a back spasm against Napoli. 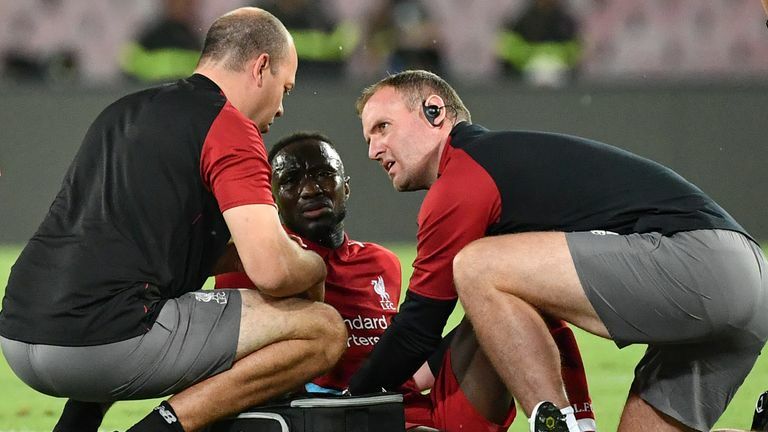 The Liverpool midfielder was injured during their Champions League defeat in Italy on Wednesday and was seen clutching his back before requiring immediate medical attention. He was taken to a local hospital in Naples for health checks but the club later released a statement to say that the 23-year-old was "fine." Speaking on Friday, Klopp confirmed that Keita had not yet trained, but would be assessed further by the medical staff. "He had a back spasm, so we have to wait. He will be in today (Friday) but I don't know if he can do something on the training ground," Klopp said. "It didn't look too serious so there is a chance [to play against Manchester City] but we don't know." Keita has featured in all seven of Liverpool's Premier League games this season after joining from German side RB Leipzig. Liverpool remain unbeaten in the league and currently sit level at the top of the table with Sunday's visitors City.